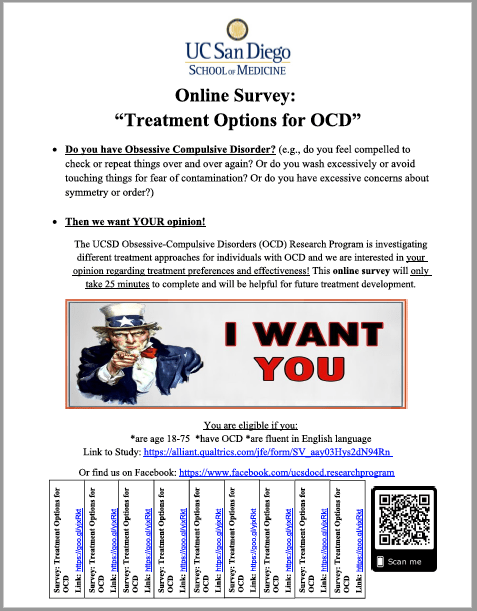 Welcome to the new OCD Washington site! Camp DCO is a 3-day overnight camp for adults and teens with OCD. The camp started in 2008 with the idea that individuals with OCD could benefit from shared experience alongside others who live with OCD. The purpose of the program remains the same today, as we strive to create a safe environment whereby participants can share, learn, and understand themselves through this unique opportunity. Learn more at teenocdcamp.com. IOCDF is now accepting scholarship applications for the 25th Annual OCD Conference in Washington, D.C. from July 27-29, 2018. For information about scholarships, click here. June 9 10am OCD Walk Greenlake! It’s that time of year again! The 2nd annual 1 Million Steps for OCD walk in Seattle is this June 9, 2018 at 10:00 am. We will be meeting by the Seattle Public Theater at 7312 West Green Lake Dr N, Seattle, WA 98103 and walking around Greenlake. It’s free! It’s fun! We’ll have snacks, water and coffee! After the walk, the walk organizers will sit in the park and have lunch together. You are invited to pack a lunch and join us. We will have coolers at the sign up booth where you can leave your lunch during the walk if you wish. You can start your own team or join one that already exists and don’t forget, you don’t have to donate money to sign up for the walk. For information about the history of the walk, click here. What can families/loved ones do to help? Travis L. Osborne, Ph.D is the Director of The Anxiety Center at the Evidence Based Treatment Centers of Seattle (EBTCS). Dr. Osborne treats the full range of anxiety and related disorders, with particular interest in the treatment of obsessive compulsive disorder (OCD) and hoarding disorder. Join us for a free community, family-friendly screening and discussion of UNSTUCK: an OCD kids movie followed by discussion groups for children, parents, teens and adults with professionals specializing in the treatment of OCD.